Are you in search for long, beautiful hair? This Adventure Time Finn Hair 16 oz. 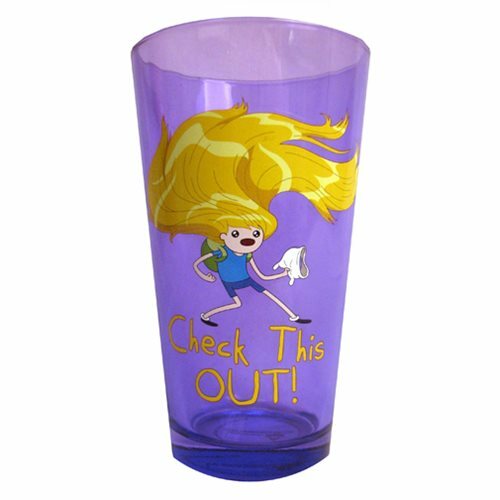 Pint Glass features Finn right after taking off his iconic bear hat, his long blonde hair flowing in the wind and the phrase, "Check this out!" Holds 16 ounces of liquid. Hand wash only. Not dishwasher safe. Do not microwave.